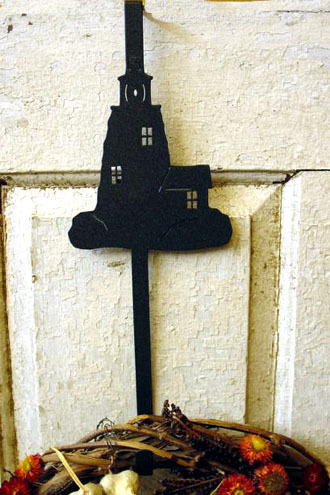 A delightful accent for the nautical appearance, our Lighthouse Wreath Hanger! It measures 14" long and is powder coated a textured black to endure indoors and outdoors! A great gift for many occasions!